As a family-run business, we understand your energy needs. Our long-lasting customer relationships are built on trust, a strong commitment to service and our dedication to excellence. The Morris Oil Team is Here for you! As a leading independent oil distributor in the South East, operating since 1954, we have a wealth of experience and knowledge. Our fleet is equipped with a hand held computer system for immediate contact with our drivers, to ensure best delivery times for you! Most orders are delivered the next day. We Won't Be Beaten on Service. Our conveniently placed depots and service stations are 100% Irish owned and operated in counties Waterford, Kilkenny, Tipperary, Cork and Laois. We understand the importance of community and work closely with local organisations and businesses. The Ideal gift at any time of the year. 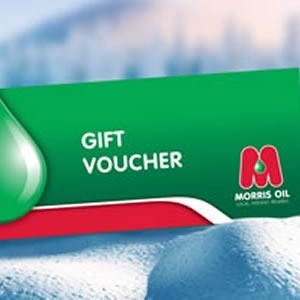 You can purchase a Morris Oil Gift Voucher from any of our local depots. Find your closest depot. The 2019 Calendar is now available. 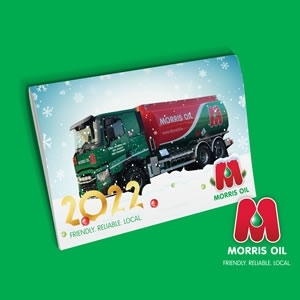 To get your copy - just order your home heating oil now and your local delivery driver will give you a calendar. Remember to order early for Christmas. Online Orders & Deliveries will take longer than usual with the Christmas rush, so please allow extra time to order your top up. 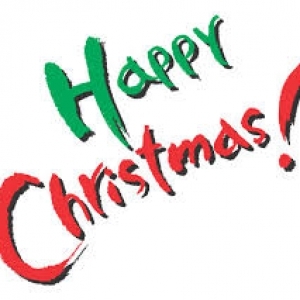 We cannot guarantee delivery before Christmas to certain areas for any orders received after 18/12/18, however, we will do everything possible to get your delivery to you. Thank you for your patience.